As teachers, we hope that our lessons leave students excited about school and loving Torah and Yiddishkeit! In this networking session, hear from Morah Esty Newfield practical tips and creative ideas for making your lessons engaging, hands-on, interactive and relevant. Examples will include a variety of subjects, including how to teach the upcoming Yomim Tovim! Bring your ideas and hear from other teachers as well on this important topic. 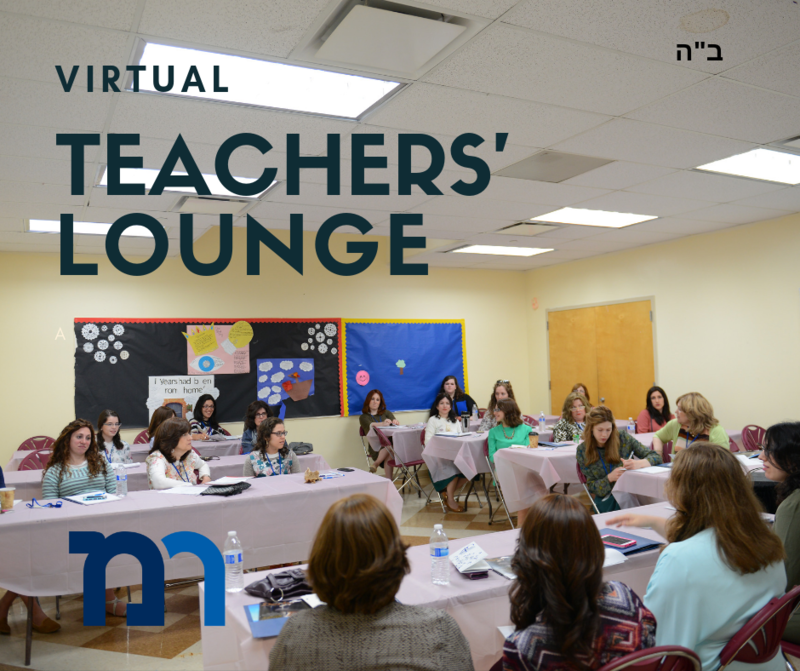 This event is part of Virtual Teacher’s Lounge, providing networking sessions for teachers around the world. Morah Esty Newfield MsSpEd has been a beloved 2nd grade teacher at Bais Rivkah, Crown Heights for nearly a decade. She is known for her dynamic and upbeat teaching style, and her students have been known to be disappointed when missing her lessons. Morah Newfield is also a supervisor in the Bais Rivkah Seminary student teaching program, training and mentoring new teachers, and is a certified Wilson reading instructor. Participation is FREE, but space is limited, so be sure to reserve your spot before they run out!